TeaVivre goes to the forefront of the birthplace of 2014 spring teas, the tea garden of our Organic Superfine Dragon Well in Lin’an, Hangzhou. Before introducing the new tea to you, we’d like to invite you to join our journey to the tea gardens of spring tea! Now stay tuned on TeaVivre, and wait for the spring flush of your favorite tea! This year’s spring teas are being harvested and processed one by one now. We already welcomed the newly harvested 2014 Ming Qian Dragon Well on TeaVivre. The other Spring teas will follow as scheduled, along with nice gifts, as well as special events. Our 2014 Spring Tea has already arrived for purchase. Buy the spring teas now for the upcoming Mother’s Day. – Orders over $58 can get Free Shipping if you choose USPS or ePacket. – Buy Spring Tea to gain an upgraded gift with your order: a large size silk scarf for mother. Just choose the green tea with “2014 Spring” logo, you will get the gift! III. 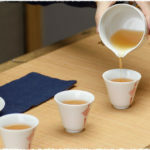 Preorder Spring Tea to sip the freshness ahead. Can’t wait for the 2014’s Spring Tea? 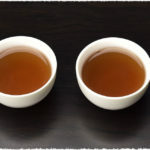 Now you can fulfill your wish on TeaVivre.com. Our 2014 Spring Tea are available for preorder. If you preorder, you can gain a special gift – a fine silk scarf. 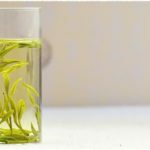 A favorable discount for the teas if you preorder. Make a chance to taste our 2014 Spring Tea in the first place. No need to make new orders again – we directly ship out your teas. for a great prize of She Qian Tea. I. Take a journey with Angel to the tea gardens of our spring tea: Hangzhou, Zhejiang. In the end of March, Chris and Angel visited Hangzhou where breeds the renowned Dragon Well green tea. We have had a great harvest there, viewed the amazing sceneries in Hangzhou, admired the Shifeng Mountain, visited the process of frying green tea, and went to the organic tea gardens. Love the pictures. It would be interesting if more cultural information was given on the regions of where the tea is grown. Thanks for the excellent pictures! Absolutely great to enjoy your comment and to feel as if we have seen it ourself and really travel with you. Get enriched from your generosity. Thank’s . It make’s me remembering my trip in Burma with palaong tribal while they where taking care of there own tea. Thanks for the info! Beautiful pictures, I cant wait to visit the West Lake myself.